Liverpool City Council has revealed the most detailed designs yet for the city’s new cruise terminal. 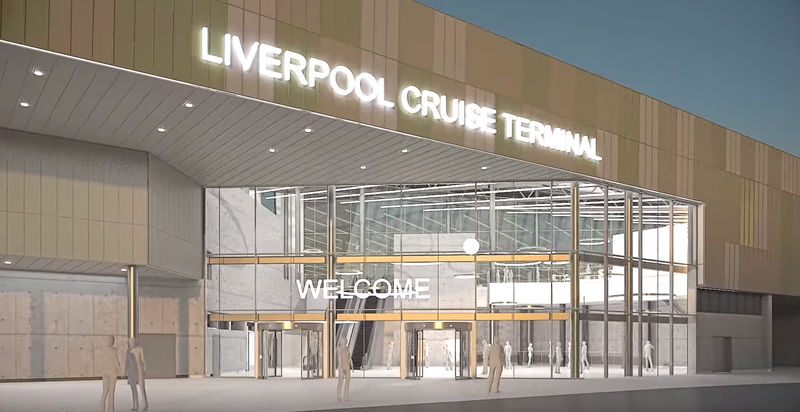 The video, which you can watch here, showcases plans for a state of the art passenger and baggage facility, complete with security checking and customs areas, lounge, café, taxi rank and four-star hotel. The fly-through video also shows how the 10,000 sqm new terminal would be built on two floors with the baggage hall in the ground floor and the passenger lounge, café and check in on the first floor. It also depicts how it will be connected to the existing cruise ship landing stage by a vehicular and passenger link-span bridge and walkway. 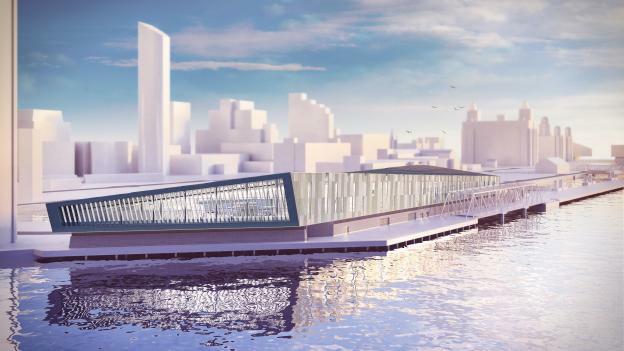 An outline planning permission was granted for the scheme in April and the city council has applied through Mersey Docks and Harbor Company for a Harbor Revision Order for the construction of the Jetty in the River Mersey.